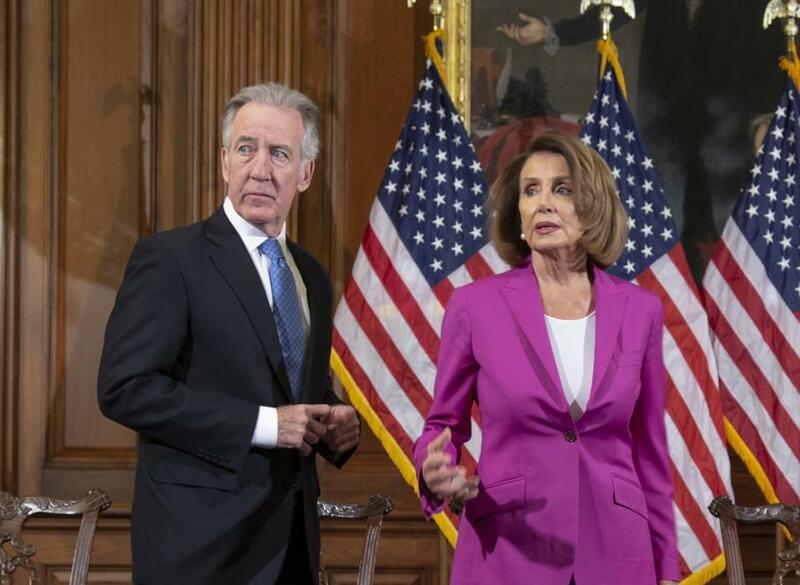 House Ways and Means Committee Chairman Richard Neal, D-Mass., and Speaker of the House Nancy Pelosi. WASHINGTON (AP) — A top House Democrat is ratcheting up his demand for access to President Donald Trump’s tax returns, telling the IRS that the law clearly gives Congress a right to them. The Massachusetts Democrat says a 1920-era law saying the IRS ‘‘shall furnish’’ any tax return requested by Congress ‘‘is unambiguous and raises no complicated legal issues’’ and that the Treasury’s objections lack merit.